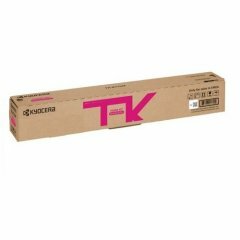 Home » Search results for "Kyocera Mita"
For use in Kyocera TASKALFA 250CI, 300CI. For Use in Kyocera FS-3920DN, FS-3040MFP, FS-3140MFP. For use in KYOCERA TASKALFA 400CI, 500CI. For use in Kyocera TASKALFA 3050CI, 3550CI, 3051CI, 3551CI. For use in KYOCERA TASKALFA 2551CI. For use in KYOCERA FSC5150DN, P6021CDN. For use in Kyocera KM-C2520, C3225, C3232. For use in KYOCERA ECOSYS P5021CDN, P5021CDW, M5521CDN, M5521CDW. For use in KYOCERA ECOSYS P5026CDN, P5026CDW, M5526CDN, M5526CDW. For use in KYOCERA ECOSYS P6235CDN, KYOCERA ECOSYS M6635CIDN. For use in KYOCERA ECOSYS M8130CIDN, KYOCERA ECOSYS M8124CIDN. For use in KYOCERA TASKALFA 306CI. For use in KYOCERA TASKALFA 406CI. For use in KYOCERA TASKALFA 3252CI. For use in KYOCERA TASKALFA 4052CI. 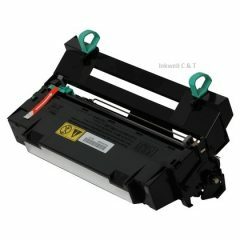 Compatible for use in KYOCERA ECOSYS P6235CDN, KYOCERA ECOSYS M6635CIDN. For use in Kyocera FSC5100DN. For use in Kyocera Taskalfa 181, 221. For use in KYOCERA KM1620, KM1635, KM1650, KM2050. For use in Kyocera KYOCERA KM3060, KM2560, KYOCERA TASKALFA 300I. For use in Kyocera FS2020D. For use in Kyocera KM3050/4050/5050 Copiers. For use in KYOCERA ECOSYS M6230CDN, M6230CIDN, M6630CIDN, P6230CDN.